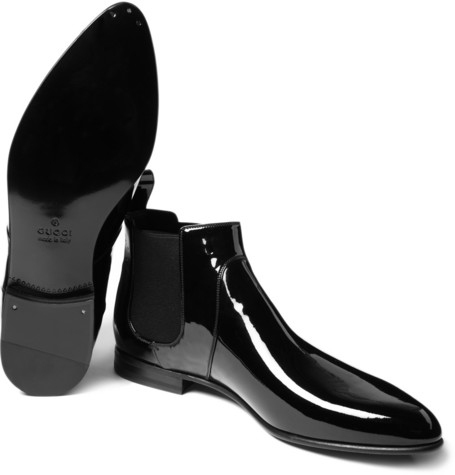 Gucci shows some Carnaby influence with these recently released patent leather Chelsea boots. Made famous by the Beatles and their gaggle of peers, the Chelsea Boot has been a common footwear choice for musicians and artists world wide. The elasticized sides, pointed toe, pull tab and Cuban heel are what ultimately makes up the anatomy of a Chelsea. 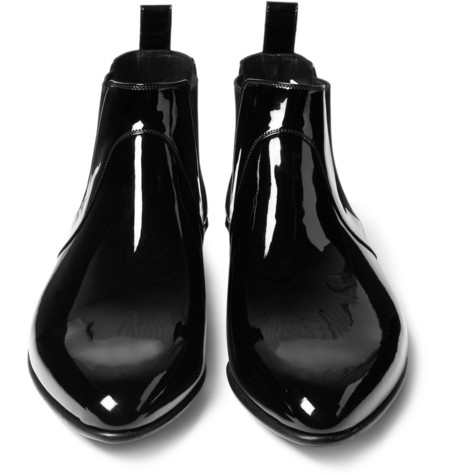 Where these ones are unique, is of course the shiny patent leather uppers but also the modest heel. 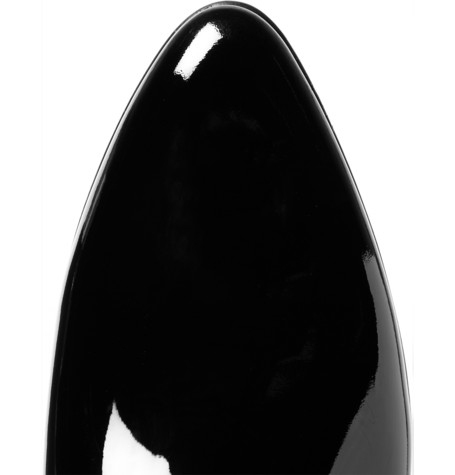 Many Chelsea boots have a significantly higher and more tapered heel. I think it’s this feminine touch, that has some men wary of the famous boot style. By toning that down, Gucci hopes to engage a whole new generation of dandies. Available online. This entry was posted in Footwear and tagged Chelsea Boot. Bookmark the permalink.